Occasionally you find people that are more wonderful than you originally knew them to be. The Cohen family are such people. 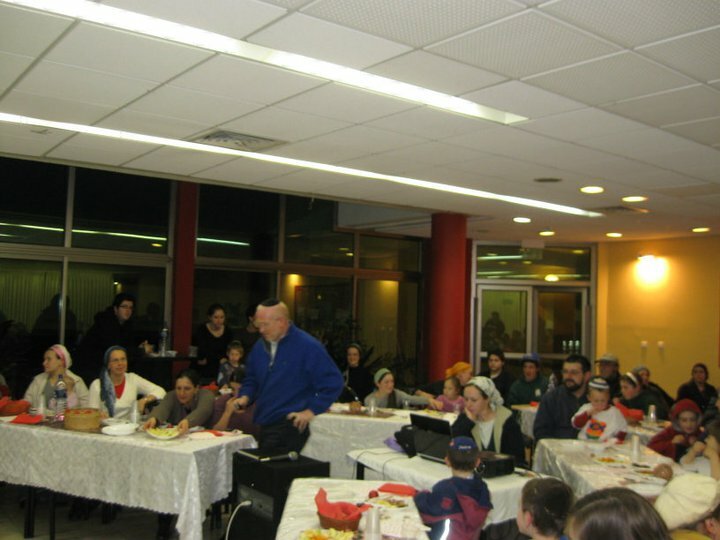 Boaz and Yehudit Cohen, long-time fixtures of Ma’alot, have done something above and beyond expectation, they have sponsored two festive events in honor of our recent wave of olim. The Sukkot party was sponsored by Boaz and Yehudit Cohen and hosted by Avi Cohen and his family, more lovers of olim and was great fun! 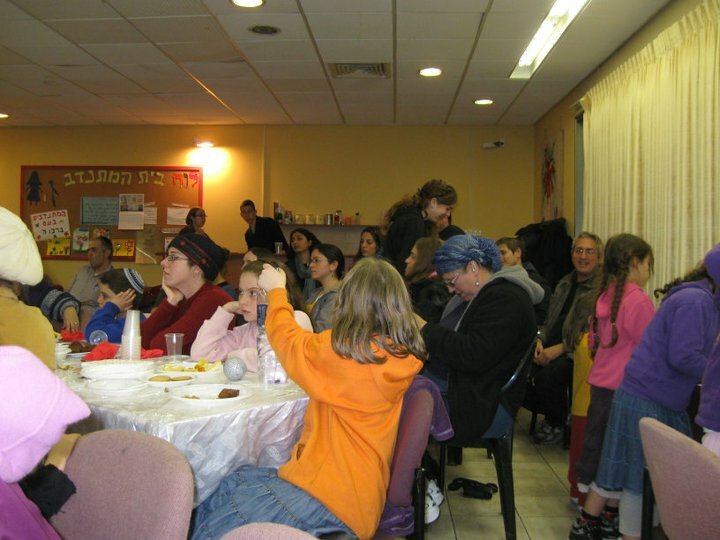 There was great food, lively music, friends and D’vrei Torah – what more could you ask for? More recently, the Cohens sponsored a Tu B’Shavat Party at the Grass Civic Center. Happy People on a Happy Day! Once again, there was the food of the day – dried and fresh fruits in honor of Tu B’Shevat, music, more friends, and of course, D’vrei Torah given by long time oleh Sim Zacks. Thank you Baoz and Yehudit Cohen for your heartfelt love of olim. It is people like you who make the world a better place. I debate in my mind if Ohel Avraham is a special place, or just one of the hundreds, if not thousands of community, or “corner”Beit Knessiot. Let me tell you about Ohel Avraham and you can decide. At Ohel Avraham you will find the staples found in a successful minyan – the baal tefilah, whose voice fills the room with ease, the timely one(s) who ensure that Hodu starts at 6:00 am – sharp, the gabbi who gives the warmest, heartfelt mishaberachs, the “candyman”, and a whole gang of others – business owners, employees, soldiers, students, and now – olim chadashim. One works in real estate, another works in military defense, and yet another will come and fix your pluming problems. I even got my arba minim (best ever) from a member of Ohel Avraham. There is no rabbi, but the words of Torah are spoken by those called upon. Over the chag I have seen fathers and sons, grandparents and grandchildren, and in-laws. I get the feeling the members have grown up together and are, is some way, a big family themselves. There is camaraderie and synergy. Ohel Avraham is on Iris street, or Rechov HaIris, the oldest free-standing-home residential street in Ma’alot, dating back nearly 40 years. HaIris follows the curve of one of the many hillsides in Ma’alot, and services houses at street-level and those on the hillside – both above and below. Beit Knesset Ohel Avraham is picturesquely, and conveniently positioned near the center of HaIris. 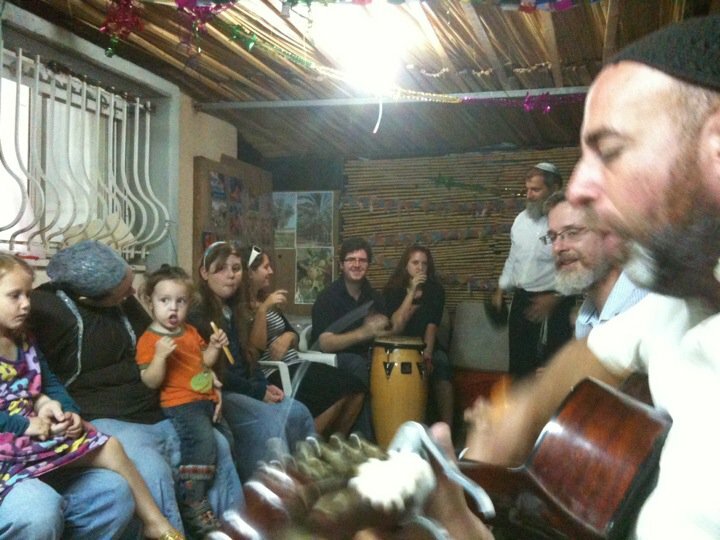 I have been in other “corner” Beit Knessiot and have found them to be delightfully energetic and sincere – so I know that Ohel Avraham is not unique. But then I was told recently by another oleh that Ohel Avraham has a “bunch of great guys in it”. I guess he has noticed it too – so maybe it is special. These Beit Knessiot are the places where the people of Israel go to pray, where friends are made, where simchot are held, and the feeling of community is still alive and well. These are the places that keep Torah alive. These are the heartbeats of the land.